United Airlines issues four Global Premier Upgrades (GPUs) to its Premier 1K frequent flyers, which can be used to upgrade flights operated by United, Lufthansa, and now also ANA. Here are the criteria for upgrading with a GPU on each partner. United — Economy class fares Y, B, M, E, U, H, Q, V, and W can be upgraded to business class. Business class fares C, D, or J can be upgraded to first class. Lufthansa — Economy class fares Y, B, M, E, U, H, Q, and G an can be upgraded to business class. Business class fares C, D, or J can be upgraded to first class. ANA — Economy class fares Y, B and E can be upgraded to business class. Business class fares C, D, or J can be upgraded to first class. Notice that the fare restrictions for ANA flights are much worse than for Lufthansa flights if you happen to be ticketed in coach. The window to request an upgrade is also smaller. While Lufthansa upgrades can be requested between 331 days and 10 hours before departure, ANA only permits requests between 8 weeks (56 days) and 24 hours before departure. Requests can be made by phone or online. I was a Premier 1K for several years, flying 100,000 miles a year to retain status, before an additional requirement was added to earn 12,000 Premier Qualifying Dollars. However, the upgrades never appealed to me much because of the significant upfront cost required to use them. Not only did I need to buy a W fare or higher (a mid-priced economy fare that might be $500-1,000 more than the cheapest international fare), but I was still entering a lottery for that upgrade. Upgrade inventory was rarely available in advance at the time I purchased my ticket. If it didn’t open before departure, then it meant I was not only paying more, but I was still flying coach. Much better, I thought, to just redeem miles for business class. Or, you could skip the gamble and pool those fare premiums to pay for business class on some flights while buying the cheapest coach fares on others. In practice, I would often give away my GPUs to business colleagues who had to book last-minute work trips. Offering new opportunities to upgrade on ANA — in addition to the existing opportunity on Lufthansa — doesn’t really solve these issues. You still need to buy an expensive fare, and you still need to hope that there’s upgrade space available. In fact the fare restrictions are even tighter than they ever were for United. But for those travelers who already enjoy paid business class tickets and are looking to upgrade into first class, then this is good news. 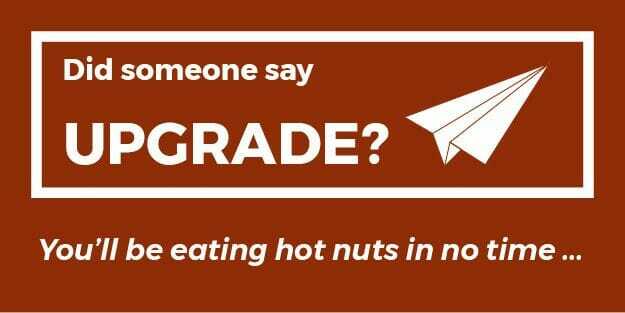 There are many more first class upgrades available.